“Courage is not the absence of fear; it is the presence of action in spite of that fear.” As both a high school student and athlete, this quote meant a great deal to me. It encouraged me to press on in the face of self-doubt and adversity. Later, as a young teacher, I focused on this quote, “Students don’t care how much you know until they know how much you care.” It grounded me and kept me inspired on difficult days when students smirked, lessons imploded, and objectives completely missed the mark. Now, as a veteran teacher and school administrator, I reflect on the following quote. I find it apropos of everything. Weekly. Daily. And yes, sometimes hourly. In schools, as in many organizations, we try to account for every eventuality. We develop lessons. We design individual education plans. We create routine, daily schedules. We craft department meetings, faculty meetings, parent meetings, student meetings, student-parent meetings, parent-faculty meetings, faculty-student meetings. . . you get it. We organize the calendar via our plans for the countless (and ever-expanding) school-year events. The calendar is a living document in its purest form. We plan, and God laughs. 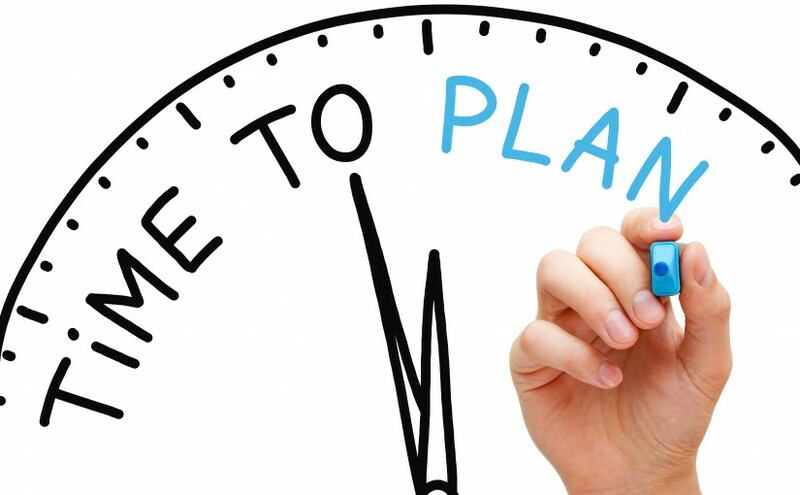 There are many reasons why a plan can go awry, and only one reason why a plan can be successful… resilient people. At my school, I am lucky that a make it work attitude is shared by the faculty. My teachers show resiliency when plans change and when adversity strikes. This mentality is a tremendous asset to our team. In theory, I knew this mindset existed, but I did not realize how willing they were to act upon it until a recent, unforeseen event arose. Of late, our school was faced with an adverse situation, and immediately I recognized how important and how sustaining the make it work mindset truly is. This episode had the potential to ruin many plans—most critically, those of our students, but teachers offered to help. They offered to go beyond their already heavy workload. They offered both time and talent to make things right and keep things moving ahead for our young men and for our school. They stepped up in ways expected and unexpected. In the past few weeks, I have heard this same message over and over from my faculty. We’ll make it work. Its repetition has made me mindful of how prevalent this approach is at our school and how valuable it is to the success of each school day and the school year at large. 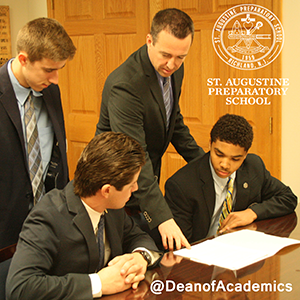 St. Augustine Prep teachers are making it work as we battle through adversity. Trust me, I do not have a perfect strategy to handle this change of direction, but it doesn’t matter. What I do have is a faculty with the right attitude. They instinctively, consistently step up to make it work. My conclusion? A make it work mindset is present whenever a plan is successful. Nowhere is this more valuable than at school— where making it work for students is our most important endeavor. Now back to planning my week. I can hear God laughing as I type. Oh well. Knowing that I have a talented, devoted faculty, I’ll meet tomorrow with gratitude to them, readiness to meet the unexpected, and the capacity to make it work.